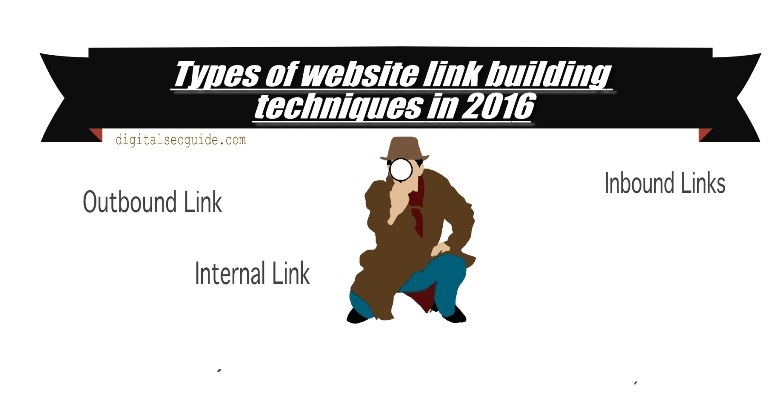 How to improve link building strategy for your website? Website link building is an artistic technique that involves the tactics of linking many other websites to your website with the aim of getting higher rankings on search engines. There are many tactics of either blackhat criteria or the white hat criteria, they are being practiced at a high level to attract traffic and get the quality link. Though the blackhat ones can cause a quick improvement in your link building as well as the SEO rankings, in the long span of time, they will result in negative reputation and loss of trust that ultimately reflect in a downfall in the rankings. In this article, we are going to discuss some fair, genuine, i.e. the white hat tricks, techniques or methods to improve link building strategy, who will really work and help you get more quality backlinks. Is the content on my site is well organized? Is the information on my site is capable enough to attract the links from the other sites? Start with writing or creating a unique content. And then build a foundation that will help the others to inspire to get linked to you. If you have quality content and potential, Google will find you and select for its index. Once you are indexed to Google the way is less complicated. But, how will Google find you? The answer is www.Alexa.com is the website, Google mainly relies and depends upon. Get your website registered with it and Google will crawl upon your Alexa database information. You should also have a Google+ account to post your blogs and information as it will directly be considered by Google. The number of likes, shares, and comments will simply be noticed and will be placed in Google ranking. Similar site search (http://www.similarsitesearch.com/): while you type your long tail keyword in the search bar, you will find the long list of websites who are containing information about the similar topic. Domain authority: It is also important that you know about the domain authority of the sites, you want to be linked to. Moz bar (https://moz.com/tools/seo-toolbar ) can be a great help on this matter. Trust Flow: With the use of Majestic (http://majestic.com/ ) you can easily scale the perceived quality of a website in the range from 0 to 100. If your site is getting backlinks from the higher ranged websites, it means that your SEO ranking is improving smoothly. Citation Flow: Again, use Majestic to measure how influential a link in a site may be. It measures the quantity instead of quality. The site with more citation flow has moré inbound links. For better results, a site must be measured with both trust flow and the citation flow scales. You will get informed about the trustworthiness and the influentially on the same hand. A marketer has to focus on either popular keywords or the long tail search traffic. Actually, both types of keywords have a similar importance. The people searching the long tail keywords are actually the professionals or the serious readers who want to reach the exact target point. The popular keywords are specially used by newbies and less interested readers. So while you are to start your keywords strategy, go along with the Google Adwords Keyword Planner. Type the keyword in the search box and you will find the detailed information about the related keywords, their competitive analysis on the base of monthly searches. This will give you an ideal prospectus about ideal relevant keywords or the long tail keyword phrase. Consumer’s demographics (age, gender, education, and others) are the next essential elements of link building. As you can read or predict the mentality of your target customers, you will be able to get a better idea about the ideal keywords. Also, you can create relevant content to meet their requirements. To find the audience demographics for your site,s you are advised to use Colombus Metropolitan Library (http://www.columbuslibrary.org/research/tutorials/using-demographic ) or Quantcast (https://www.quantcast.com/ ). Here you can find the groups of people engaged to your website and their noticeable routine. When you share this specific detailed information on your site, it will be proven very supporting to your link building practices. Create really impressive content for your niche. Maintain the freshness and be up to date. To bring the better appeal in your content you have to improve your quality, make it more relevant and input some emotional feature in it. This will help you to get increased traffic to your blog post or site. But there is one more trick to have some betterment ideas for your site and that is tracking your competitors’ websites. You are recommended to go to Open Site Explorer and insert the competitor’s blog URL. As a result, you will find the information about which of their posts has received how many shares, comments, and engagements. This is a good idea to get inspired by the competitors and their uniqueness. Also, add the habit of sending thanks to all your email as it is the simplest way to influence the clients and the readers and motivated to bring the quality traffic to your site. 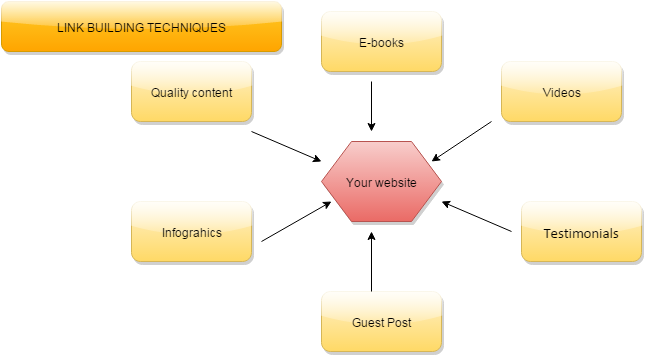 You should use guest blogging for earning the authority links. Comment on other bloggers’ post and share it to your links as linking with others is also a good way to get linked. These all are the white hat tricks or methods to improve website link building strategy, who will really work and help you get more quality backlinks for your website or blog if use all these techniques in a proper way then it will improve your website’s rankings for sure. If you have any suggestion related to this link building strategy then please share with us in a comment section below.